Actually it comes from a German saying where in country places we say the rabbit and the fox say goodnight to each other. great story! 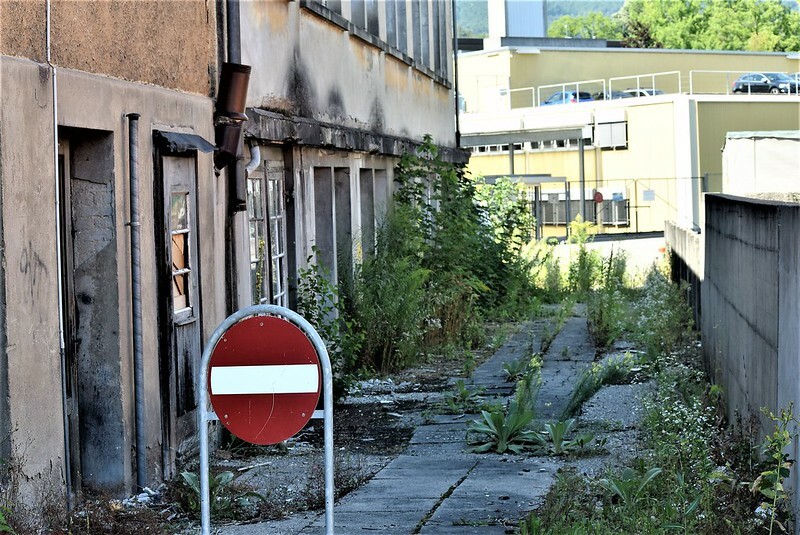 I can see it…..
It’s an old factory in Solothurn. I remember when it existed, but now abandoned at least 30 years ago. For a while a small theatre was there, but that is also no longer. Now it is boarded up and the blinds are hanging broken. The paved side path is now overgrown with weeds. Isn’t it wonderful how writing and photography makes us look at the world around us, differently? I really love this post! Thank you for sharing. Just a tad depressing, but good. If the spiders give up, then it’s really OVER. There is perhaps a lot more livestock in that building. It has been there in that condition for many years.